I’ve been speaking to a lot of brides recently, and dried flowers are being used not just for bridal bouquets, but for the bridal party and venue too. Although many brides are happy to pick our existing designs, sometimes they come to me with something they have seen elsewhere, or would like to me to tweak one of the bouquets they have seen at daisyshop.co.uk. A hand-tied dried flower bouquet with lavender surrounded with straight stems of bearded wheat and simply tied with a raffia knot. 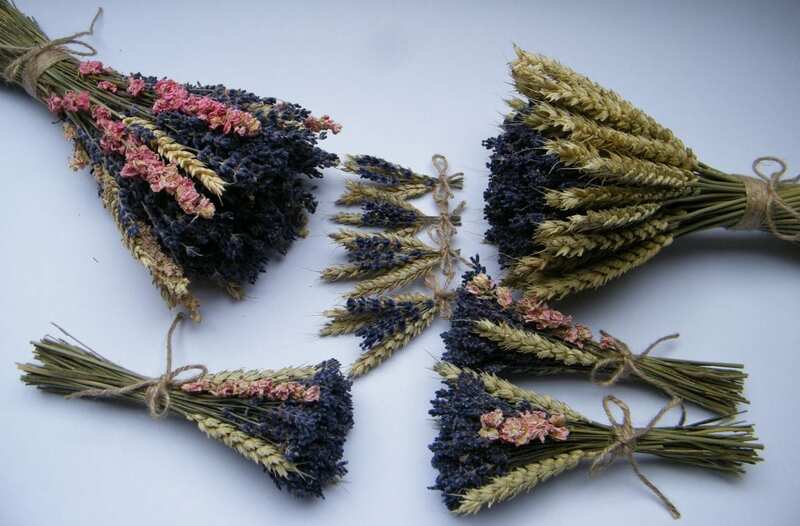 A mixed dried flower bouquet of dried lavender interspersed with bearded wheat. 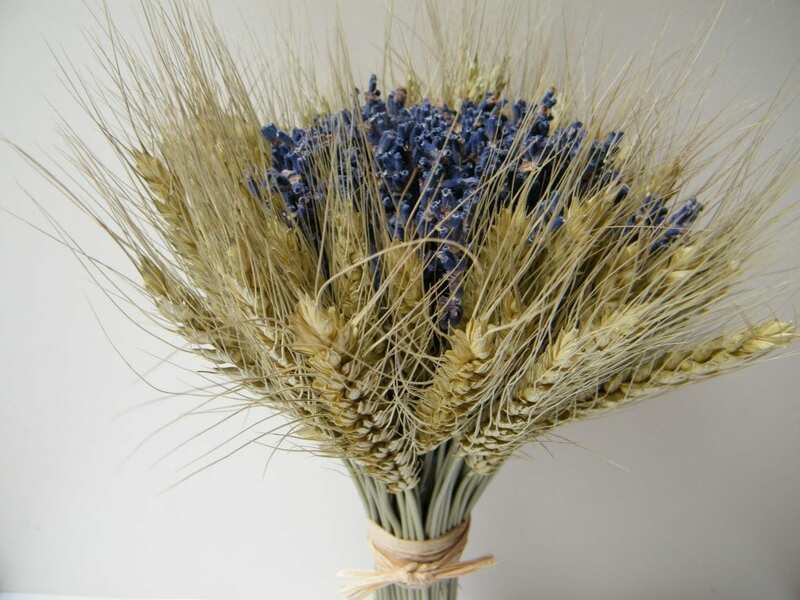 The bride in this case wanted a bouquet of mainly dried wheat with a touch of colour, and suggested a wheat sheaf with a hint of lavender as her dried wedding flowers. 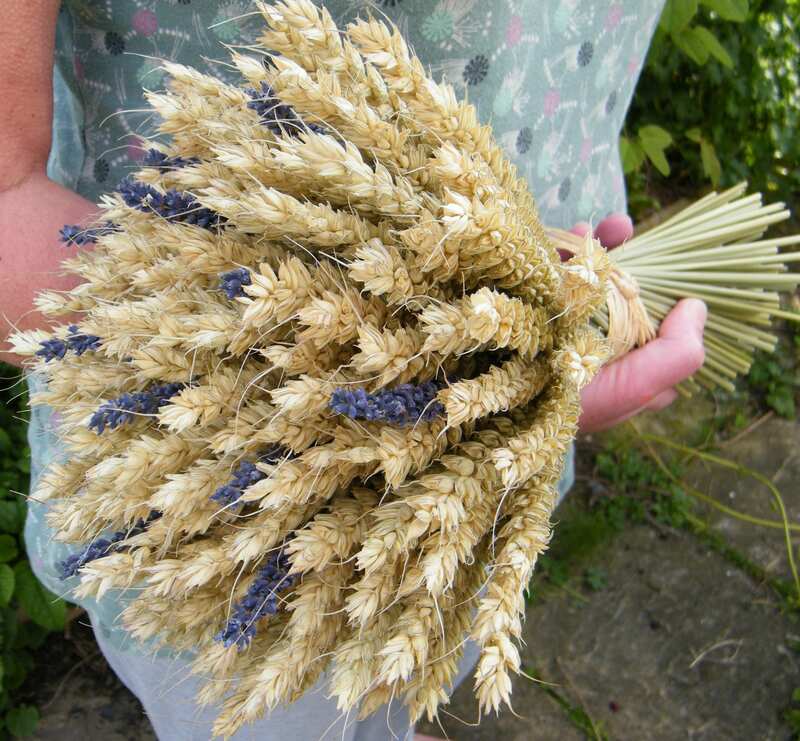 The same bride as above discussed the possibility of including a few stems of barley in a wheat sheaf. This set of wedding dried flowers was ordered tied with string rather than our usual raffia or ribbon. dried flowers for weddings on wantthatwedding.co.uk. But of course, all these dried flower bouquets would make a beautiful gift whether you are getting married or not – or use them as inspiration to make your own bouquets.